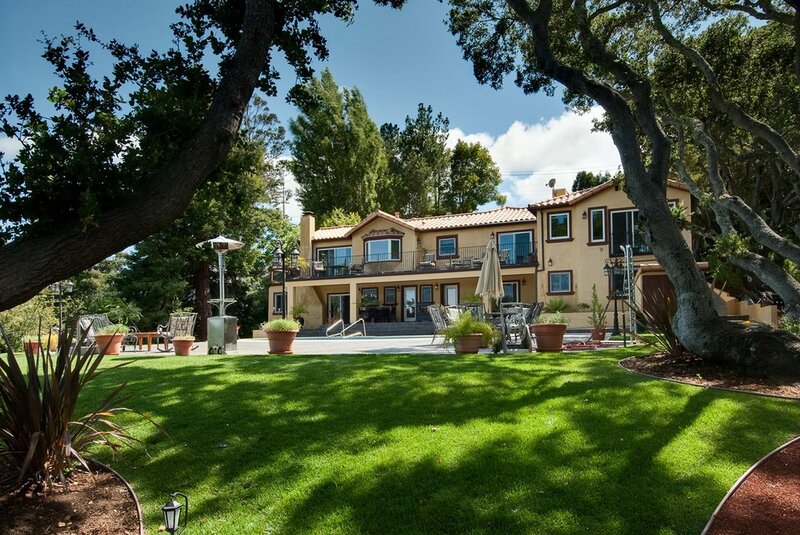 This magnificent home was part of a complete interior and exterior remodel and addition. This custom Mediterranean home is in a class of it’s own. The inside reveals exquisite original wooden beams in the ceilings throughout the home. The unique floor designs with Italian travertine and inlayed with Brazilian cherry in the 2nd master bedroom, living room and kitchen are truly breathtaking. Indian Sleight in the decks as well as restored ironwork gives the home character. A marble wave theme in the downstairs bathroom and entertainment room show the quality craftsmanship put into this home. To finally top everything off, coddled stone cement surrounds the pool and the beautiful vegetation in the backyard as you look at the astonishing view of San Francisco Bay Area. This 4,990 square foot mansion is truly a gem.